Walt Disney World – Dizney Wizard – Nicole! Some exclusions and restrictions apply, and offer cannot be combined with other offers or discounts. A valid Florida driver’s license with a Florida address, Florida state-issued ID with a Florida address or valid Florida-based military ID must be presented. Posted on August 11, 2017 Categories Offers & Promotions!, Walt Disney WorldLeave a comment on Special Limited-Time Disney Resort Dining Offer for Florida Residents! The “Jingle Bell, Jingle BAM!” Holiday Dessert Party will return this year to Disney’s Hollywood Studios® at Walt Disney World® Resort! It’s one of the best way for you to enjoy the Holiday Nighttime Spectacular fireworks show. In the courtyard of Grauman’s Chinese Theatre, you can enjoy multiple food stations, featuring holiday-inspired sweet and savory delights like warm cheese fondue with pretzel bread and flatbread, warm pumpkin pie and spiced-bread pudding with hand-dipped vanilla ice cream. The Liquid Nitro Station fires-up the party with chocolate mousse and choice of toppings, including salted caramel sauce. Beer, wine and specialty cocktails are available for Guests over 21. Specialty non-alcoholic beverages are also available, and of course, the hot cocoa is a crowd-pleaser. 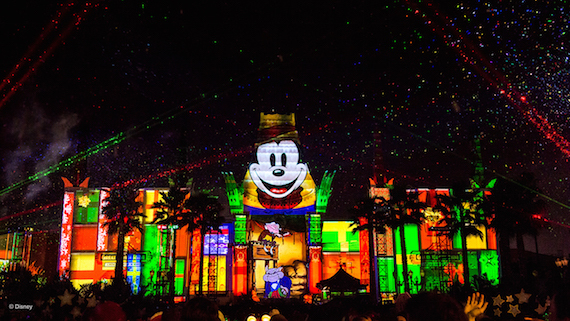 While a special VIP character comes to meet and mingle with dessert party-goers, you won’t believe your eyes when you check out the festive lights wearing a pair of 3D HoloSpex® glasses they receive. The glasses turn bright lights into holiday holographic illusions such as gingerbread men and candy canes. Ask me how to book your Jingle Bell, Jingle BAM Dessert Party! Posted on August 11, 2017 August 11, 2017 Categories Walt Disney WorldTags Holiday Events, Hollywood Studios, Jingle BAM, Jingle BellLeave a comment on Jingle Bell, Jingle BAM Holiday Dessert Party Returns this Holiday Season at Hollywood Studios! An All NEW Star Wars Hyper-Reality Experience is Coming to Downtown Disney and Disney Springs! The VOID’s new, groundbreaking hyper-reality experience, Star Wars: Secrets of the Empire is coming to Downtown Disney at the Disneyland® Resort and Disney Springs® at Walt Disney World® Resort. Beginning this holiday season, Star Wars: Secrets of the Empire will transport you to a galaxy far, far away where you’ll be able to engage with friends, family and Star Wars characters through sight, sound, touch, smell, and motion. It’ll even allow environmental effects to be felt using Haptic feedback – melding the physical and digital worlds together. So, you don’t just see the Star Wars universe, you’re part of it at Disney Parks. Plans for this first-of-its-kind experience were just unveiled by THE VOID, an entertainment company that combines the magic of illusions and advanced technology to create immersive social experiences that take visitors to new worlds. Lucasfilm and ILMxLab are collaborating to help develop this one-of-a-kind experience at Downtown Disney and Disney Springs. We’ll have many more details to share in the future. Stay tuned for more details as work begins on Star Wars: Secrets of the Empire. Posted on August 7, 2017 Categories Disneyland, Walt Disney WorldTags Disney Springs, Disneyland, Downtown Disney, Star WarsLeave a comment on An All NEW Star Wars Hyper-Reality Experience is Coming to Downtown Disney and Disney Springs! EPCOT Food & Wine Festival Returns August 31st! New Acts for 2017 “Eat to the Beat” Concert Series will amp things up this year. Eleven new-to-the-festival bands, including Kenny G., Squeeze and 10,000 Maniacs, join 21 fan-favorite musical acts for a diverse lineup of pop hit makers to rock America Gardens Theatre stage throughout the festival’s 75-day run. Other new acts to appear are: The Hooters, Baha Men, Lauren Alaina, Mark Wills, American Authors, Devon Allman, Postmodern Jukebox and Blue October. Concerts take place at 5:30, 6:45 and 8 p.m. daily and are included in Epcot admission . The lineup is subject to change and included in Epcot admission. Festival-goers can also enjoy Eat to the Beat Dining Packages at 15 popular Epcot restaurants, guaranteeing a breakfast, lunch or dinner reservation and confirmed seating at a same-day Eat to the Beat concert. New Marketplaces are coming to the Festival – and India and Spain marketplaces will return for an encore. Our global marketplaces will extend into Future World to offer brand-new taste sensations. ABC’s “The Chew” is returning to tape five festival shows that will air Oct. 9-13. With Spaceship Earth as the backdrop, the Emmy Award-winning show hosts will again delight a live audience with on-stage cooking and stories of their Disney adventures plus segments from across Walt Disney World® Resort. Popular TV chefs and culinary icons will entertain at Festival Center demonstrations. Those same stars of the kitchen will create new dishes for premium events such as Party for the Senses grand tastings with new concepts and themes. “Mix It, Make It, Celebrate It!” hands-on workshops are also returning with fresh opportunities for you to interact with visiting chefs, bakers, mixologists and other pros. Stay Tuned for details! Also, if you are interested in booking any of these amazing experiences contact me today! Posted on August 7, 2017 Categories Walt Disney WorldTags Epcot, Epcot Food & Wine Festival, Walt Disney WorldLeave a comment on EPCOT Food & Wine Festival Returns August 31st! 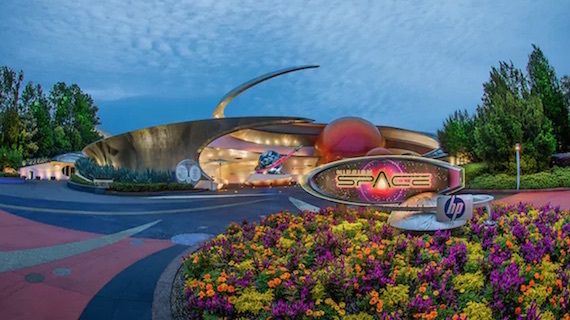 MISSION: Space ‘Relaunches’ on August 13 with all NEW Experiences! Or, you can embark on the more family-friendly Green Mission – a new mission that takes them on an exciting orbit around Earth. On this amazing new adventure, you’ll take in sites like the Hawaiian Islands, Italy’s “boot” and the Northern Lights—as seen from space, of course—before finally landing at Kennedy Space Center in Florida. No matter which mission you choose, it’ll be a journey that’s totally out of this world. In addition to all the “mission” updates, our partners at Walt Disney Imagineering have also made this attraction MORE family-friendly. Younger astronauts can now ride – the height restriction will be changed for the Green Mission side with the addition of new X-2 booster seats allowing children 40-44” to ride. Posted on July 28, 2017 Categories Walt Disney WorldLeave a comment on MISSION: Space ‘Relaunches’ on August 13 with all NEW Experiences! A NEW Pub will be opening at Hollywood Studios Fall 2017! Debuting this fall, the new Grand Avenue area at Disney’s Hollywood Studios® is being re-imagined by Walt Disney Imagineers to capture the spirit of present-day Downtown Los Angeles, showing vintage office buildings and warehouses representing the different vibrant districts and cultures of the city. One prominent hot spot to spring up is the Baseline Tap House, a cheerful corner pub specializing in beer and wines from California. In a quaint brick building, Baseline Tap House celebrates the revitalization of Downtown Los Angeles by paying homage to the building’s former life as the Figueroa Printing Company, a mom-and-pop print house that had ties to the Disney studios in nearby Burbank. The space retains many of its cool architectural and mechanical details with exposed walls and old printing equipment and artifacts, blending the past and present in an inviting space. Outside is a charming tree-shaded terrace, perfect for a relaxing break in the day. California craft ales, lagers and cider are the stars of the drink menu. California wines on tap along with specialty cocktails are not to be missed either. A gourmet non-alcoholic lemonade and soda on tap round out the drink selection. 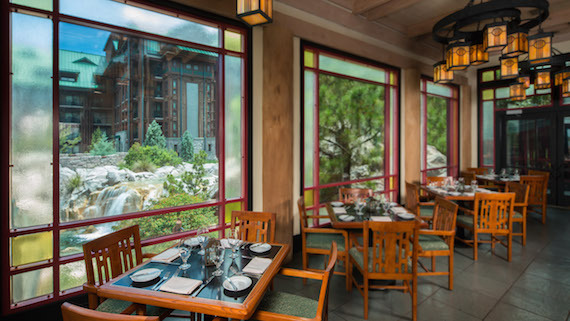 You can even try one of the small bites, including a Bavarian pretzel with mustard and beer-cheese fondue, spiced almonds or a charcuterie board featuring California cheeses. Baseline Tap House will open daily at 11 a.m. Stay tuned to as more details are released about this ALL-NEW experience coming to Disney’s Hollywood Studios! Posted on July 28, 2017 Categories Walt Disney WorldLeave a comment on A NEW Pub will be opening at Hollywood Studios Fall 2017!